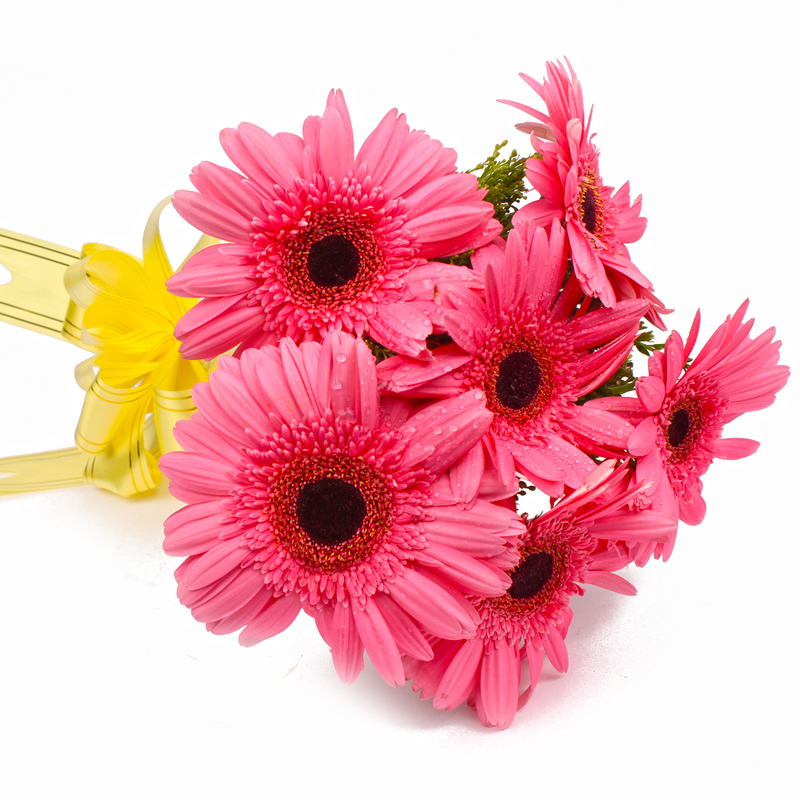 Product Consist : 6 Stems of Pink Color Gerberas with green fillers in Cellophane Wrapping with Ribbon Bow on it. 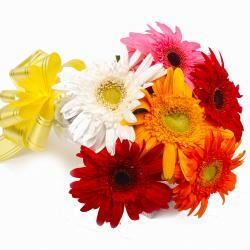 Neatly packed in cellophane paper with matching ribbon bow on the top for extra sophistications. 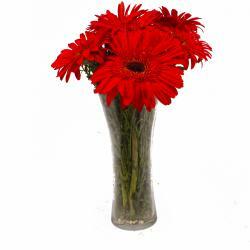 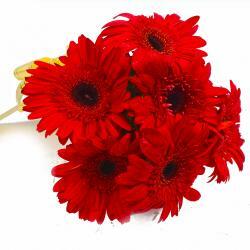 These Six pink Gerberas make for splendid gifts for multifarious occasions like Birthday, Anniversary, Engagement, Pongal, and Teachers Day among others. 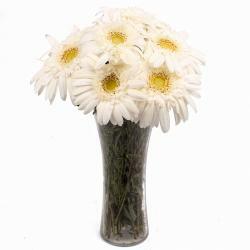 You can also consider these soothing floral delights in case of festive occasions like Diwali. 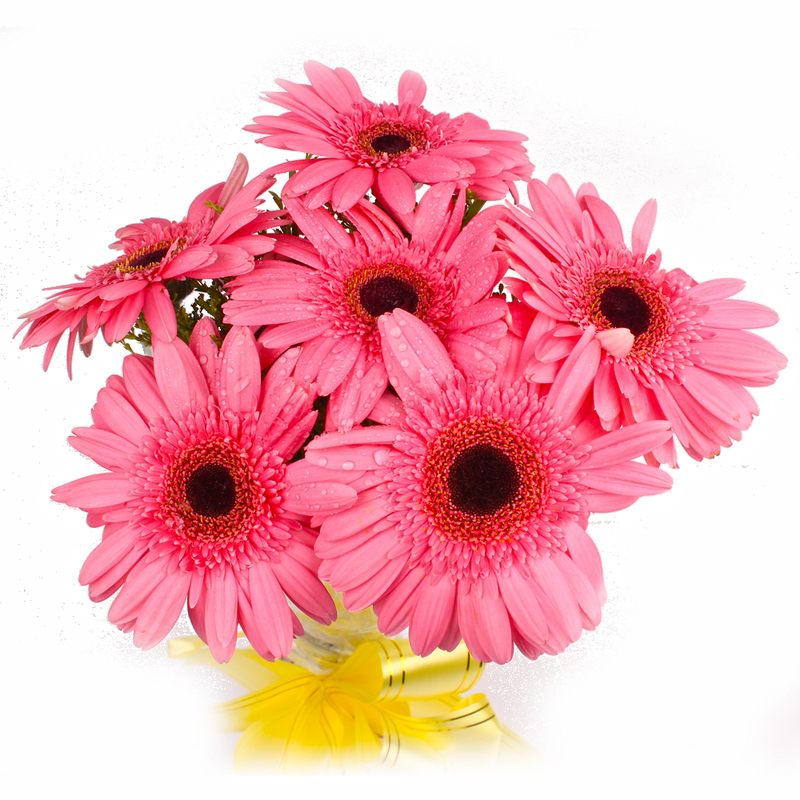 Product contains : Six Pink Color Gerberas with green fillers in Cellophane Wrapping with Ribbon Bow on it.